Frances "Fran" Lamb, 86, formerly of Maquoketa, Iowa, passed away peacefully on Wednesday, March 27, 2019, in Wesley Chapel, Florida, at the home of her daughter and son-in-law, Susan and Mark Khan. A celebration of her life will be held at 12 P.M., Wednesday, April 3, 2019, at First United Methodist Church in Maquoketa, Iowa. Visitation will be held prior to the service from 10:30 A.M. until service time. A Graveside Service and Burial will be held at 1:30 P.M., Thursday, April 4, 2019, at East Linn Cemetery, rural Redfield, Iowa. The Carson Celebration of Life Center in Maquoketa is caring for the family. Frances Ann Altwegg was born on October 23, 1932, in Algona, Iowa to James and Irma (Windell) Altwegg. Her family moved to Redfield, IA, in 1943 and Frances graduated with the 18-member 1950 class of Redfield High School. She married her high school sweetheart, Bill D. Lamb, on April 15, 1951 in Redfield. After Bill served in the Korean War, the couple settled near Redfield, living on the Lamb family farms until 1960 when the family moved to Nevada, Iowa, and eventually to Maquoketa in 1965. Frances was the quintessential stay-at-home Mom while her children were young. She then worked alongside her husband in their family business, Lamb Fertilizer and Crop Services, Inc., from 1971 until they sold the business in 1995. In retirement, Frances and Bill became "snowbirds" and spent their winters in Punta Gorda, FL where they had their second home. After Bill passed away in January 1999, Frances continued to migrate south and north each year, determined to never give up any new or old friends. Frances relocated to Florida permanently in 2013, where Susan and Mark lovingly cared for her the last five years of her life. Frances was active in the Maquoketa United Methodist Church and was a 50-year member of P.E.O. Chapter BX. She was an avid reader and enjoyed the P.E.O. book club and many other social activities with numerous friends and neighbors in Maquoketa and Punta Gorda. Frances took great pleasure in all forms of music, both as a member of her church choirs and a spectator at countless symphony concerts, musicals and shows. She was an excellent seamstress and enjoyed doing needlework. Travel was another of Frances' favorite activities and she traveled extensively throughout her life, keeping detailed travel journals that are a testament to the joy she found in each of her many journeys. Frances was a truly loving wife, mother, and grandmother. Those left to honor her memory include her three daughters and their husbands, Barbara and Joel Bierig of Venice, FL, Carol and Mark Behrer of Urbandale, IA, and Susan and Mark Khan of Wesley Chapel, FL; four grandchildren, Rebecca (Joseph Cohen) Bierig of Plano, TX, Brian (Emily Shelkowitz) Bierig of Denver, CO, Jessica Behrer of West Des Moines, IA, and Linda Behrer of Johnston, IA; step-grandchildren Sara (Thomas Renn) Khan of Tampa, FL, and Matthew Khan of Clearwater, FL; her brother Gary Altwegg and his wife, Sharol, of Logan, IA; sister-in-law Pat Altwegg of West Des Moines; and numerous nieces and nephews. Frances was preceded in death by her husband, parents, and brother, James W. Altwegg. The family would like to express much appreciation and gratitude to the wonderful caregivers, Katherine Van Dam and Ellen Brake, who were so dedicated and compassionate to Frances through her struggle with Alzheimer's in the last years of her life. Memorials in Frances' memory may be made to the Maquoketa United Methodist Church or the Alzheimer's Association (www.alz.org). 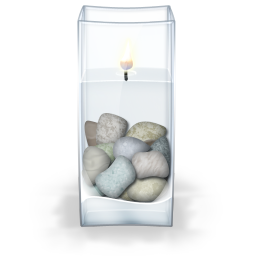 Online condolences may be left at www.CarsonAndSon.com. Frances Lamb Video Tribute from Carson Celebration Life Center on Vimeo. My condolences to Fran's family. Fran was a very caring friend of my mother, Rachel Swanson. Fran was always a joy to be around. I enjoyed being in UMW and choir with her. May she rest in peace. Our sincere thoughts and prayers for your family. Fran was a beautiful person to have for a business friend and church family friend. She and I had many conversations about loads of things children, school, and business work. To her girls she was a very special mom. Someone we will always remember. Sorry to hear or Fran's passing, she was such a wonderful person and my basketball Mom, as I spent many nights at The Lamb house on away games. My deepest sympathies to Sue and the Lamb family. Our sincere condolences to the Lamb family on the loss of Fran. We met Fran years ago through the long time friendship with Sue and Mark. We had the great pleasure of spending time with Fran and had come to love her beautiful smile and infectious personality. We also came to know how loved and adored she was to her family. We know hearts are heavy but we hope you find comfort in knowing Fran is at peace and reunited with her loving husband Bill. The attached photos are added to the memorial of Frances Ann "Fran" Lamb to help share their legacy. Please help memorize Frances Ann "Fran" Lamb by recording your attendance below.